Everybody loves hardwood floors. They are warm to touch, look fantastic, add value to the house and can last for generations. But unless you have a big budget to splash out, cheaper but versatile option like laminate flooring is a better option. It is a lot cheaper and is installing laminate flooring is also easy. Laminate flooring has a come a long way from its initial days. Gone are the days of fake looking, wood imitating laminates. Today, you can get laminates that look exactly like the real deal and an uninitiated person won’t be able to tell the difference. It is important to measure everything before you get started. Not only will this save time, but also help to reduce wastage. When you have the details of the areas that need to be covered, add some extra 5-8% to it. This is for just-in-case moments. Measuring will also include checking for square sides. For the best appearance, you want parallel and square walls. Otherwise, you will have to taper one end of the flooring, which depending on the design, can look bad. If tapering is the only resort, then tapering both end rows will solve it as neither side will be so noticeable. Laminate flooring does not play nice with uneven sub-floors. Pay close attention to the seams of the floors, they are usually uneven. Clean the sub-floors and remove any loose debris. After removing the carpets, you should pull out all the nails and staples from the surface before you start installing your laminate flooring. Use a large level and get down to your knees with a belt sander. Level our small seams and contact a flooring contractor if there are larger depressions. 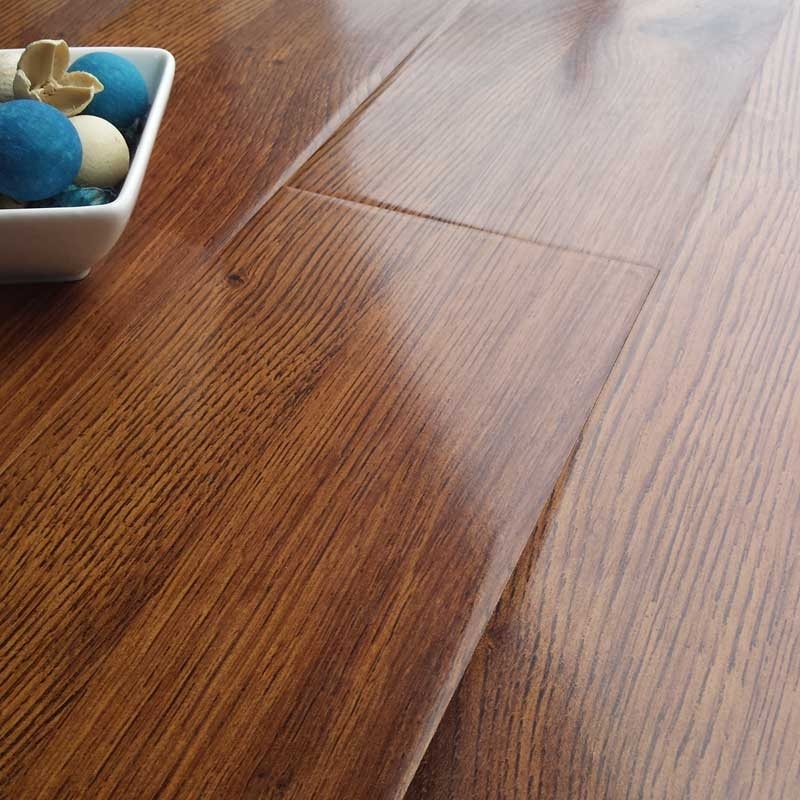 Without a smooth and flat underlay, your laminates will warp over time. Before fixing the laminates in place, try a rough layout of the planks. This rough map will tell you where to taper and where to cut. This will help you to visualize the installation before fixing it into place. Cutting laminates with any saw like a circular saw or miter saw is not a good idea. Laminates have MDF core and hence leave a lot of dust when cut. Instead of using machine cutters, use a manual laminate shear. These manual tools are cheap, quiet, and do the work just as quickly. When installing the rows, some planks will not move into the place automatically, leaving a gap. You can gently tap those planks with a rubber mallet. This will remove the gap and the planks will fit perfectly. You should understand that laminate floors will expand. When installing, leave a gap of ½” between the rows and the walls. This will prevent any warping and bend because of movement. Installing laminate flooring is a simple and quick way to beautify your home floor. These are affordable, easy to install and do not require any special maintenance. So learn about 5 tips that you should know while installing laminate flooring.